El desarrollo del modelo 113 comenzó en 1963. El vehículo fue concebido como una alternativa al WZ-111 y empleaba partes y componentes de carros medios. Sin embargo, el proyecto fue cancelado debido al desarrollo de una clase separada de carro principal. 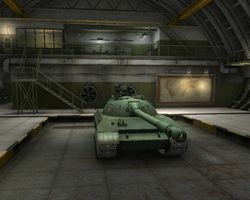 The 113 differs dramatically from its heavy predecessors, mainly in that it plays more like a very large medium tank, though not being the best at either role. Its lack of reliable armor coupled with its barely serviceable gun can lead to major frustration when attempting to utilize traditional heavy tactics. Being truly unique among tier 10 heavy tanks, having a reliable support team is crucial for taking full advantage of the 113. The poor gun depression and mediocre penetration can be difficult to adapt to, limiting the 113's effectiveness dramatically on maps with hills and uneven terrain, often necessitating complete exposure of the hull in order to access enemy weakspots unless an exceptional hull-down position can be attained. Maintaining a hull down position is ideal for the 113, as it allows the driver to take full advantage of its narrow and well armored turret. If this is not possible, one can also use terrain to cover the weak lower glacis and still retain a decent chance to bounce incoming shells from a distance. None of this will matter if enemy artillery is present, however, as the 113 is highly susceptible to incoming volleys thanks to its very wide, flat profile, and thinly armored engine deck. The roof armor is also just 30mm, guaranteeing it will be overmatched by shells exceeding 90mm in diameter. The 113 is also the lightest of all tier 10 heavy tanks (weighing in at a measly 45 tons), and will always take damage from rams dealt by other heavy tanks, and even some mediums. The 113 benefits from its high top speed enough to keep up with friendly medium wolfpacks, though it will suffer like any other heavy when traveling uphill, or over bad terrain. When among its medium allies, it brings marginally higher firepower at the price of painfully sub-par penetration. One of the most unique things about this tank is that its upper glacis is a mere 2 degrees from auto-bouncing AP rounds, although this effect is largely negated in close quarters due to its low height, and even from a distance by the use of premium ammunition. 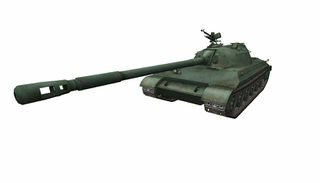 It should be noted, however, that taller tanks than the 113 can negate the hull's slope by shooting down on it in close quarters, reducing its survivability in brawls dramatically. The 113 is unable to sidescrape successfully despite having a center mounted turret, as even the tracks and storage compartments are almost entirely ineffective at shielding the woefully inadequate 90mm of side armor from incoming fire. On top of this, the frontal hull features large and prominent shoulders containing ammunition and fuel which become exposed to incoming fire during the maneuver. Despite being considered a tier 10 heavy, its armor should not be overestimated. While the upper hull might survive most regular AP rounds outside of brawling distance, premium rounds will defeat it with ease. 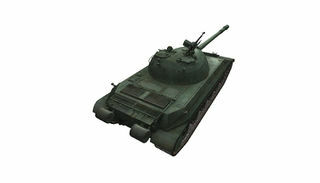 The turret is slightly more durable, though the lack of a substantial mantlet means that premium shells still have a decent chance of penetrating; HEAT especially, as the autobounce advantage from the extremely steep slope is negated due to HEAT having a higher overmatch threshold. Going hull down remains a viable tactic for this tank, but HEAT aimed toward the center of the turret will usually punch through. 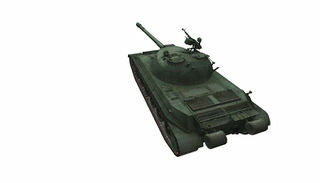 The 113 should be treated as a medium tank with an armor advantage, rather than a heavy tank with a mobility advantage. As such, the 113 may be awkward and disappointing for players who were expecting an improvement on the previous tanks in its line, being unlike any other tier 10 heavy tank. The 113 is sorely lacking in protection as a heavy tank, and being unable to reliably damage the majority of other heavy tanks frontally with its atrocious gun, is ultimately limited to playing like a sluggish flanking medium. 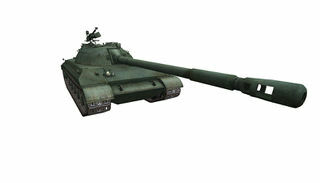 This tank is often compared to the Soviet IS-7 but they are entirely different tanks. The overall armor scheme of the IS-7 is one of the best in its class, while that of the 113 often leaves all too much to be desired. Also, the IS-7's gun boasts an extra 50 alpha and 1mm more penetration while the 113's yields a higher rate of fire and better dispersion. Development of the model 113 was started in 1963, when it was obvious that the development of the WZ-111 was not heading in a good direction. 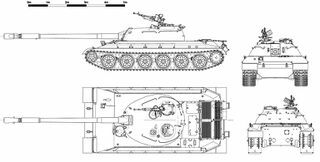 Conceived as an alternative to the WZ-111, 113 and used parts, components and heritage of medium tanks, unlike WZ-111 which evolved from the Russian IS heavy tank series. Mass deployment of new main battle tank vehicles like T-55 and T-62 marked the end of all development, not only of model 113, but all Chinese heavy tank designs.